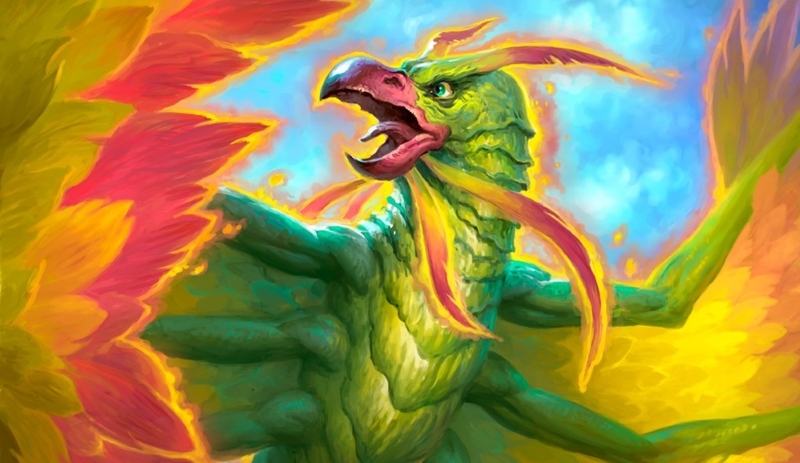 Our Dragon Mage deck list guide features the best Rise of Shadows deck list for Season 61 of Hearthstone (April 2019). Our Dragon Mage guide will also be updated with Mulligan advice, card combos and strategy tips. Dragon Mage is a Hearthstone deck that combines large and powerful Dragon minions with some of the high value Summon effects that are available to the class in order to generate an imposing board presence. Naturally, with all these expensive minions, the deck plays very slowly as you take time in the early game to control the board before unleashing your stock of massive minions once you have enough mana. You can even pull high-cost minions from outside the deck list using Summon effects to create even more threats for your opponent to deal with. We have a very early version of Dragon Mage for you in this guide that should give you a solid idea of what the deck will look like in Rise of Shadows. If the deck finds itself in the top tier of the meta we’ll be sure to return to this page with more Mulligan tips and detailed strategy advice. We wanted to bring you an updated post-launch version of Dragon Mage so you could get stuck into a Rise of Shadows take on it right away. It’s subject to change, of course, in the coming weeks so careful with your crafting dust. As the deck list becomes refined, we will update the rest of this article so it reflects the latest competitive version of the deck. This version of Dragon Mage comes courtesy of Kripparian. It’s definitely one of the more unique theorycrafts to come out of the Rise of Shadows pre-release streams so definitely avoid crafting the most expensive cards unless it picks up in popularity. Although this deck exists under the name Dragon Mage, the use of actual Dragon minions in this deck only plays a small part in making it work. Instead, their inclusion is mostly to bulk out the list with large minions that work in tandem with some high value Rise of Shadows cards. The most important of those is Khadgar, which offers a vast amount of potential as it multiplies the number of creatures summoned from card effects by two. The main aim of this deck, then, is to pair Khadgar with Jan’alai the Dragonhawk to create some ridiculous board states. You can also play some of the deck’s high-cost Dragon minions for their powerful Battlecry effects and then aim to replace them with better statted minions using Conjurer’s Calling. It’s a rather greedy and very risky play but the potential can be devestating for your opponent. - Khadgar is undoubtedly the most significant card in this deck. At just two mana, you should save him to be played alongside Conjurer’s Calling or Jan’alai, the Dragonhawk to get the most value out of those cards. - This deck is full of expensive Dragon minions that have powerful Battlecry effects but fairly weak stats. Once you’ve used them for their grand entrance, remove them with Conjurer’s Calling to summon same cost minions in their place that may offer better value on the board. - If your opponent is holding a weapon, you can drop Acidic Swamp Ooze onto the board and knock it clean out of their hands. Save one of these for a late-game weapon. - When Daring Fire-Eater enters play your next Hero Power will deal 2 additional damage. Use this to kill off a minion and draw a card using Pyromaniac and work towards the damage target for Jan’alai, the Dragonhawk. - Kalecgos can offer some incredible value by letting you play a big minion on the board and follow it up with an expensive spell on the same turn. - With all the Dragon minions in this deck you shouldn’t have a problem activating the bonus effect from Firetree Witchdoctor in order to add more spells to your hand or Crowd Roaster to deal 7 damage to a minion. Similarly, Scaleworm should only be played when you can gain the bonus Attack and Rush effect. - The more cards you have in your hand at the time, the more damage Meteorologist will do to the target. - In a similar fashion, Mountain Giant costs one mana less for each other cards you're holding in your hand at the time he's played. Hi. Something wrong .... I like this deck but 2 Twilight Drake missing from the deck list.